Marc Marquez has signed a two-year contract extension with Honda. The four-time MotoGP champion has renewed his alliance with the team he has been so successful with in MotoGP, signing on for two more years starting the 2019 season. Marquez, who became the youngest rider to ever win a MotoGP championship, stated that he was happy to continue to race for the Honda factory team. "I'm excited to continue to race for Honda's factory team in the MotoGP class. I'm proud to race as a member of the Honda family, and I appreciate how Honda and the team always do their best to provide me with everything I need. I would also like to thank everyone who has given me such warm support over the years." Specific to testing and the 2018 MotoGP season, Marquez said that the "first two official tests went well and, with my contract renewed, I can focus on racing in the new season." Meanwhile HRC president, Yoshishige Nomura said, "I am very pleased that Marc Márquez will continue to ride for our factory team. 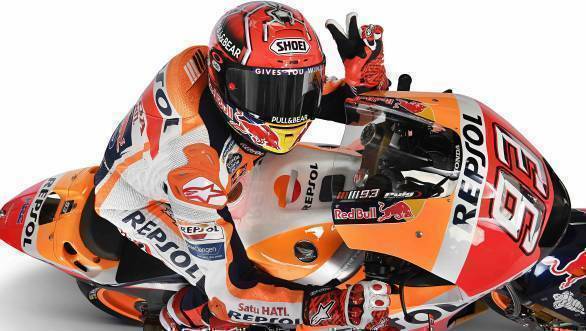 Márquez has consistently pushed himself to the limit and matured as a rider, and given Honda many titles. We were able to announce the contract renewal at such an early stage due to our mutual trust, and our common passion for racing."